When’s the best time to clean your bathtub grout? When you are in the shower already. You can kill two birds with one stone while you are in the shower and get your grout cleaned up while you are getting yourself cleaned up. 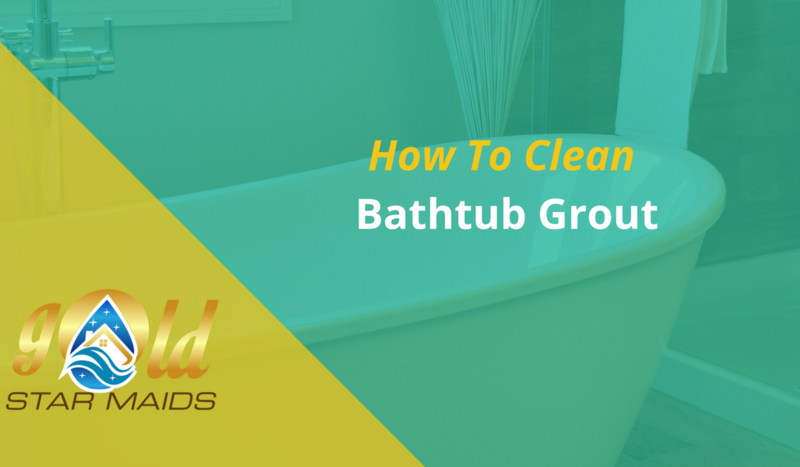 A great way to approach cleaning your bathtub grout is one section at a time. Don’t try to do it all at once. Pick one small area at a time to tackle. Slowly but surely that dirty grout will start getting cleaned up and your tub will get cleaner and cleaner. A lot of the time, you may not even realizer how dirty your grout is until you start cleaning it and see it next to the uncleaned grout. It will make you want to scrub every and all areas with grout in your bathroom. Baking soda, vinegar, which is one of the best cleaning products for a bathroom, a plastic cup, and a toothbrush are the supplies that will best help you in your grout cleaning endeavors. You’ll want the vinegar in a spray bottle and you’ll want the baking soda to remain dry. You can find an empty spray bottle to purchase easily: you should be able to find one in your local grocery store or pharmacy. You can keep the baking soda in a plastic bag to keep it dry then stick all the supplies in the plastic cup when you are not using them. Grab the baking soda, sprinkle it on your dirty grout then let a little water soak into the baking soda to create a paste like texture. Using baking soda with water is a great initial cleaner and will help loosen up all the dirt before you apply the vinegar. After you turn the baking soda into a paste with the water, spray over it with the vinegar. The mixture of the baking soda and vinegar together should bubble up: that’s how you know if it is working or not. After all the bubbly excitement dies down, grab your old toothbrush and scrub it all in. An old toothbrush is definitely the best way to clean the grout and get into all the small areas. The more wet the grout is when you start the faster the baking soda and vinegar will soak in and loosen up all the dirt. Now it’s time to use the cup. Just fill it with a some water and splash it over the area you were cleaning. If you find that the surface underneath is not perfectly cleaned, you can try the process on that spot one more time to see if you can get the stubborn spots totally cleaned off.